Warehousing industry in India is one of the prominent market segments in total Logistic Sector. Implementation of GST & various E commerce as the two important factors that have created significant growth prospects for the warehousing sector in India. Experts claim a total of approximately 43,000 Crore rupees investment scope by 2020 in this sector. 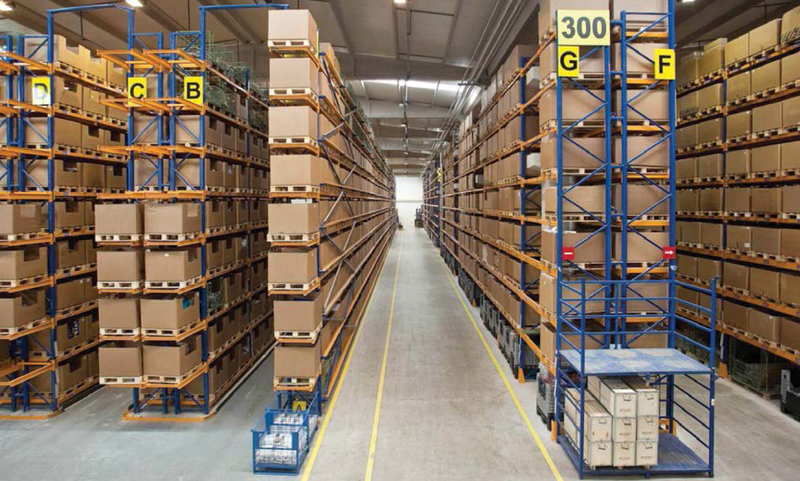 There are various factors which helps warehousing sector to boost to its peak in Indian market. In present scenario the warehousing industry is approximately 560,000 crore rupees excluding inventory carrying cost which amount to another 4340 thousand crore rupees with a minimum growth of 10% annually. The industry although is facing a lot of difficulties due to improper cargo flows, improper infrastructure, limited capability of carrying capacity so on and so forth. Industrial / retail warehousing is major contributor in total warehousing industry with its 55% of total market share followed by 14% – 15 % Share by CFS/ICD, Agri warehousing & Cold store. Industrial Warehousing is approximately 310 thousand crore rupees market with a basic growth of 10-12% in recent past. Some major players in Industrial warehousing are DHL, Safeexpress, Continental warehousing, Indo Arya, All Cargo etc. Agri warehousing accounts 15% of total market share with an annual growth of 9-10 % in past few years mainly due to growing annual agriculture production, standardized warehousing operations as per Warehousing development & regulation act, subsidy scheme & Tax Incentive. Key players in Agri warehousing are Food Corporation of India (FCI) and Central Warehousing Corporation (CWC). Although 30 % of Agri Warehousing is still operated by unorganized small warehouse owners. Cold stores accounts of almost 16 % of total warehousing industry and it expected to grow at 15% per annum on a sustained basis over the next 5 years with the organized market growth at a faster pace of 20%. Some significant players are Snowman, Gati Kausar, Cold Star, ColdEx, Kelvin Cold Chain etc. Last but not the least is Container handling & storage. ICD/ CFS accounts almost 14% of total warehousing market in India and in past 3 years it has grown 10-15 % with almost 90,000 crore rupees market value. Government initiatives, faster container rail transport & secure cargo movement is the main reason for sudden growth rate in containerized movement of Cargo. The government run CONCOR (Container Corporation of India Ltd) continues to be the largest player operating 48 terminals which handles EXIM Cargo while 14 others handle domestic traffic only. In today’s scenario Warehousing is not only for storage and transport service it is fast emerging as strategic end to end solutions that improves efficiencies with organized & skilled professional services. The fast growth in retail, automotive, manufacturing, pharmacy and agriculture along with GST in India is expected to give a proper thrust in Warehousing & Logistic business. In view of the worst devastation in nearly a century suffered by Kerala due to the recent rains and floods, the CSS Group is leading a donation drive in the UAE starting from the 15th to the 19th of August, 2018. 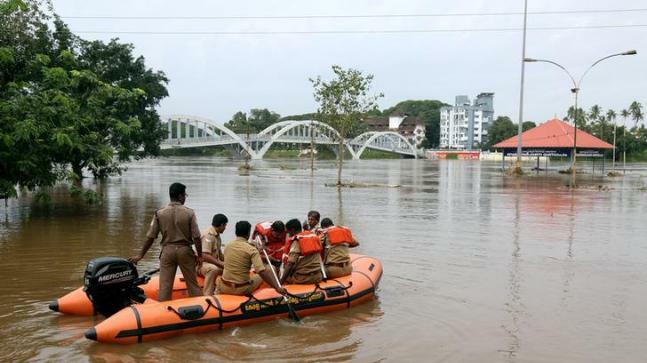 Kerala is going through a difficult time, with thousands of people rendered homeless and seeking shelter in relief camps. While the government is doing everything possible to rehabilitate victims, there are still things that the CSS Group and its employees can contribute towards to provide aid. The CSS Group has teamed up with Dubai KMCC – a registered organization in Dubai under the Social Regulatory & Licensing (Community Development Authority), Government of Dubai and Islamic Affairs & Charitable Activities Department, Government of Dubai. It enjoys the trust and goodwill of thousands of Indians, especially Keralites, in recognition of its efforts to provide relief, both in the UAE and in Kerala. We request all those interested to extend their goodwill by donating various relief material (please note, cash cannot be accepted. Only material aid can be sent forward). Examples of items are listed below – please note, you are not restricted to just those below – you can also donate anything from foldable beds/cots or even pampers. If you have any other queries, please email marketing@cssdubai.com for further details. 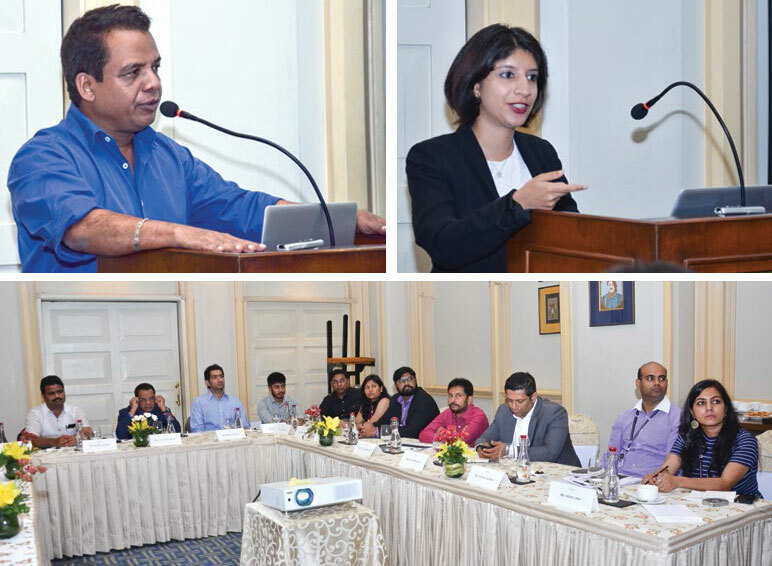 Seeking to strike a right balance between challenges and opportunities, the annual budget meeting of CSS India was held at Taj Bengal, Kolkata early in the month of April. Station heads and key decision makers from all over the Indian offices attended the meeting which was chaired by the Chairman, CSS group, T S Kaladharan. In his welcome address, CSS North India Vice president Rajesh Arora re-iterated the need for close coordination amongst all branches for the attainment of a more focused approach so as to take the company to ever more heights. For the first time CSS team from Ludhiana and Kolkata had their presentations in the Annual Budget Meet. Ludhiana was represented by Meena Sharma, Branch Manager. CSS Kolkata being the host station was represented by Pijush Saha and Anirban Saha. Rahat Talreja, Vice President CSS Central India during his presentation mentioned about the post GST scenario and the tactics to learn more from the challenges for enhancing growth. A session on the group software and its benefits was led by the CSS Group COO, NVOCC, Chandrakala (CK). She elaborated on the benefits of increasing the usage of ERP applications and bringing all offices under one umbrella of CRM, so as to better service the clients. A session on “Effective ways of resource mana- gement” was taken by Ajay Krishnan, COO, Freight forwarding CSS Group, wherein he stated that the one reason why companies end up compromising their profits is due to the inefficient use of resources in hand. Throughout the presentation Ajay introduced tips on effective utilization of resources and mentioned that those tips if implemented properly will go a long way in assisting CSS in revolutionizing their resource management and utilization. CSS South India was led by T K Vishwanath, General Manager. Budget figures and analysis of each of the CSS India offices were presented by the respective managers with a key focus on their projections and strategies. Other attendees included, Rajeev Kumar, Prasun Roy and Nishu Jain from CSS Delhi, Sandeep Anthur and Thainis Raj from CSS Chennai Sudeep and Jinu from CSS Corporate office. CSS Group Chairman, T S Kaladharan in his closing remarks, congratulated CSS India team for successfully and profitably concluding the financial year. He also mentioned about his dreams and aspiration about the group company and while assuring support to the various suggestions put forward by the delegates, also stressed upon investing for a better tomorrow through clever delegation and planning. CONSOLE SHIPPING SERVICES INDIA PVT. LTD. HAS SEEN A STEADY GROWTH IN THE YEAR 2017. LIGHTHOUSE SPOKE TO THE CSS TEAM IN DELHI, THE CAPITAL CITY OF THE COUNTRY TO KNOW MORE ABOUT THEIR GROWTH PLANS, CHALLENGES AND OPPORTUNITIES. The logistics industry is evolving rapidly in India. This is as a result of the combined forces from the infrastructure, technology and innovate approaches from the service providers. India has been widely acclaimed as an investor friendly country as well. But the economic growth has slightly reduced its pace in the post GST scenario. The lack of liquidity in the market has badly affected the situation. As per Rajesh Arora, Vice President, CSS North India, the outstanding collection has become a nightmare due to the lack of liquid funds. The GST return which has to come from the government has not been materialised yet. The exporters are holding orders as they have to part with 28% as GST and that too for more than 6 months. Lack of infrastructure is another major stumbling block on the path of development. Emphasis should be laid on building world-class road networks, integrated rail corridors, modern cargo facilities at airports. Logistics parks should be set up and accorded a status equivalent to Special Economic Zones. “The warehousing facilities, for instance is too insufficient in this part of the country. Delhi market depends mainly on three terminals the IGI Airport, Inland Container Depot, Tughlakabad & Container Freight station, Patpargunj. All three terminals are over booked and not at all properly equipped to cater the entire Delhi & NCR business” Commented Rajesh. It is estimated that the industry will continue to grow at a robust rate of 10-15 per cent annually. Hence more attention needs to be given for the overall growth and development. Lack of transport integration is another challenge in the region. Delhi CFS has a minimum stopping time of a month for rail movement from Ports. Due to lack of proper service and infrastructure problem 30% of ICD cargo went to SEA ports severely affecting EXIM trade. Even though problems were numerous, CSS Delhi performed well in the last quarter and the new office in Ludhiana is doing extremely good. CSS India management hopefully wait to hear the government intervention in improving the ailing infrastructure which will bring a greater impact on the growing logistics industry. It is indeed necessary to realise that training facilities too should be improved so as to mould a competent down the line to take the business to greater heights, Rajesh mentions. Emphasis on research and development is potent because it encourages the use of indigenous technology, which can make the industry cost-effective and can also bring about improvement in services. CONSOLE SHIPPING SERVICES INDIA PVT. LTD HAS BEEN RECOGNISED WITH IATA CERTIFICATION. Governed by the Cargo agency conference, IATA cargo agency programme affords benefits to both airlines and agents. It provides agency with industry recognition of their financial and professional cometence while airlines gain access to a global distribution network of approved agents to sell their products. As an IATA agent they get access to Cargo account settlement system(CASS) at no cost as well. CSS India today operates from 11 offices offering a wide range of services in the shipping and logistics industry. CSS India inaugurates its new regional headquarters recently. The office is situated in one the fastest growing cities in India, which is Kochi. CSS India had its Kochi operations from Wellington Island for the last many years. The new office is situated in the heart of the city close to the prestigious Lulu Mall in Edappally. The regional headquarters will serve its facilities for the India Finance department and the South India sales force. 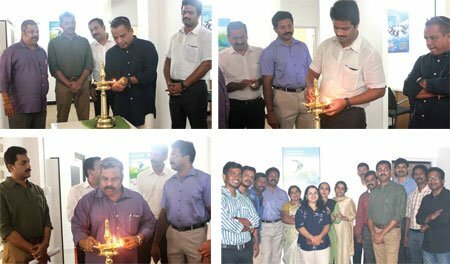 The office was inaugurated by T S Kaladharan, Chairman, CSS Group. The function was attended by Sudharshan Vice President, South India and Pijush Saha, Branch Manager for CSS Kolkata. The ceremony was attended by other senior officials from the CSS India offices as well. “I feel that it is an opportune time to have a centrally located office in Kochi as plans are in place to strengthen the sales force in Kochi and nearby cities in the peninsular region. Also finance will be centralised in the new office which will give an edge to the operational team of CSS India” Commented Kala on the occasion. CSS Group has made remarkable progress in the Indian Sub-continent last year with a well reputed brand identity. Console Shipping Services India Pvt. Ltd. is today one of the front runners and a respectable brand within Shipping and Logistics. CSS India operates as three major regions namely Northern, Central and Southern regions which control major cities and gateway ports in their respective domains. 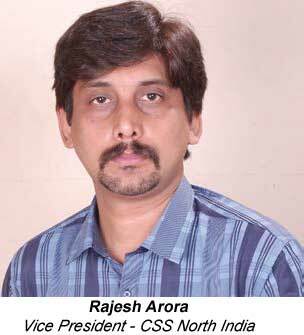 Delhi being the centre at North India is progressing under Rajesh Arora, Vice President North India. CSS North Indian operations are evenly spread out with deep roots of business in-lanes created through Punjab, Haryana and other manufacturing centres of the Northern Region. “The demand for Logistics services has been largely driven by the remarkable growth of the Indian economy. The growth cannot be judged with any short term situation, but it is totally dependent on the infrastructural development and the policies adopted by the government. CSS India has got aspirations in gaining greater momentum in the region” Commented Rajesh Arora. Mumbai takes control of the Central Indian sector which is led by Rahat Talreja, Vice President Central India. CSS has seen a steady growth in its central Indian operations over the past years. The remarkable progress in the export segment and projects has attracted major brands to CSS. Currently the annual logistics cost of the world is estimated at about USD3.5 trillion. India spends around 14.4% of its GDP on logistics and transportation as compared to less than 8% by the other developing countries. 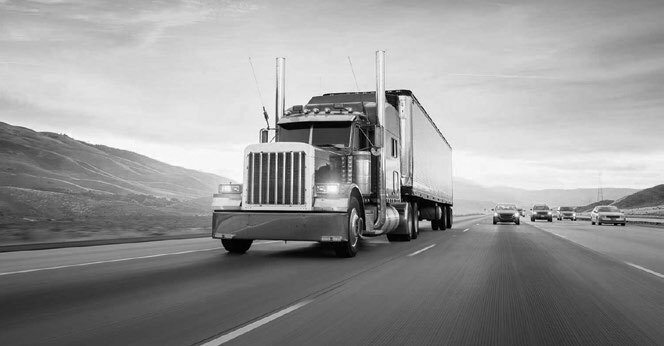 Indian freight transport market is expected to grow at a CAGR of 13.35% by 2020 driven by the growth in the manufacturing, retail, FMCG and e-commerce sectors. “CSS India will see a commendable growth in the year 2017-18. We are mainly focussing on relationship marketing which is by far the most important thing required. The overall prospects for the logistics segment in the country are promising as well” mentioned Rahat. 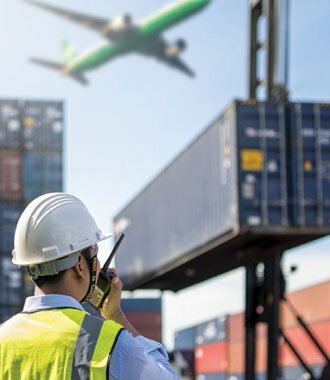 Economic reforms, trade cooperation, improved transportation infrastructure, and industrial growth is ushering in increasing opportunities for the logistics service providers (LSPs) in India. Presently, the Indian logistics industry is witnessing development and expansion of its existing infrastructure, emergence of e-commerce specific logistics solutions, has a strong focus on manufacturing, but also has a large presence of unorganized service providers. Console Shipping Services towards the Southern region is headquartered in Chennai under the able leadership of Sudarshan who is the Vice President and T K Vishwanath General Manager. South has recently witnessed some commendable achievements in the field of Projects Movement, especially Machinery. “It is a welcome initiative from the Government of India to create freight corridors and Logistics Park in the National Highways. Southern region, where the infrastructural developments are by far the best compared to the other parts of the country, will greatly benefit from this new development” commented Sudarshan. Console Shipping Services commenced its services in the year 2004 from Tirupur, Tuticorin and Coimbatore which got further expanded in the year 2007. 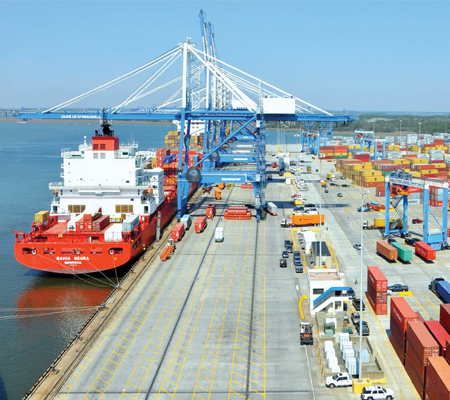 Today, Console shipping services India, with its strategic positioning at all the gateway ports of the country, is capable of handling all types of logistics movement both Imports and exports from any remotest part of the country. CSS Group IT department has confirmed the upgradation procedure of their software has been completed. In a recent statement released by the CSS IT Dept., the new version namely FINS will have an array of innovative features and facilities, than its predecessor I-Pack. The final migration happened on the first week of July 2016, whereby all users of FINS will benefit with the modified system. The company has been using the software, which was developed in-house by their IT professionals some years back. Since then the system has been put on test for constant upgrades and incorporating novel features. FINS will be used by all CSS offices in the Middle East and the Indian Sub-continent. FINS takes pride in having novel features like browser compatibility, all format report generation, personalised screen colours and enhanced speed along with some other new features like calculator, improved memory management system and user friendly forms. FINS has the ability to offer you a one-stop-solution across many business related applications, such as Human Resources, Payroll, Finance & Fixed Assets, Construction, Warehousing & Distribution, and General Freight Forwarding. 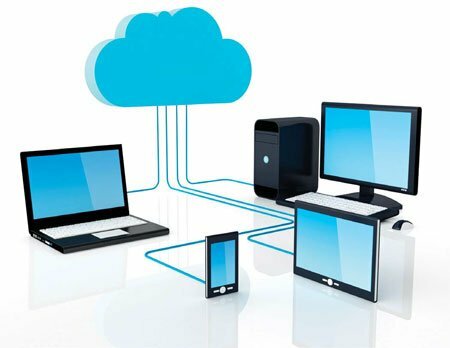 The system has the capacity for Electronic Data Interchange (EDI), the transfer of data between different companies using networks, such as the Internet. EDI becomes increasingly important as an easy mechanism for companies to carry out their core businesses. FINS, deployed on a web server, has the advantage in offering integrated services, capturing all transactions in a single module, for any company involved. As part of a CSS – CSR initiative, new bags and umbrellas were distributed amongst pre-primary and primary school children at Thrikkunnappuzha, Alleppey Dist. Kerala. Three schools which are running under the Government of Kerala aid were benefitted by this regular CSR programme of school aid distribution by CSS under the guidance of T S Kaladharan, Group Chairman. The schools were Govt. LP School Valiyaparambu, Govt. LP School Thrikkunnappuzha & Govt. LP School Panoor. New bags and umbrellas brought beaming smiles on more than 600 little faces. The programme commenced with local authority members from the Panchayat wards welcoming the gathering. All the children, their parents and the school authorities were present for the occasion. On another occasion the school park and play area which was also donated by T S Kaladharan to Govt. LP school Thrikkunnappuzha was inaugurated the previous day by the Hon. Home minister of Kerala, Ramesh Chennithala. People’s representatives and the school authorities thanked CSS and Kala for this noble activity. 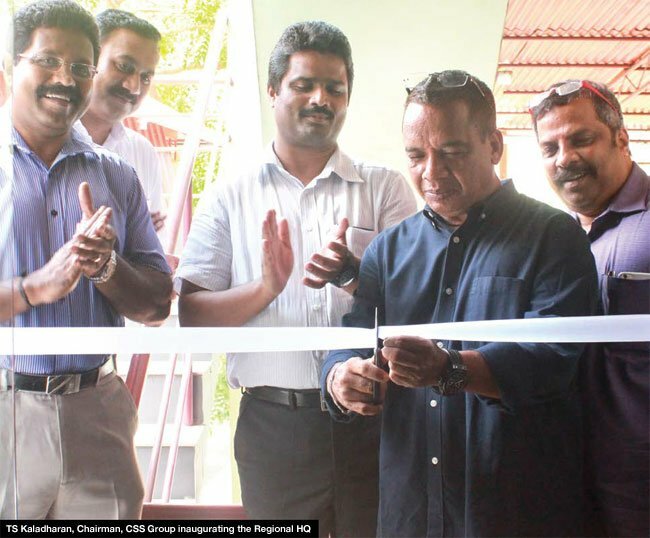 G Unnikrishnan, Head-Corporate communications, CSS Group and Hareendran, Manager, Devas Farm house were present on behalf of CSS for the programme.